The radius of the arc of the bend. This is a general term that does not precisely specify the radius, therefore it can mean inside radius, centerline radius, or any other arbitrary reference point. When specifying a tube bend, it is necessary to state from which reference point the magnitude of the radius is determined. 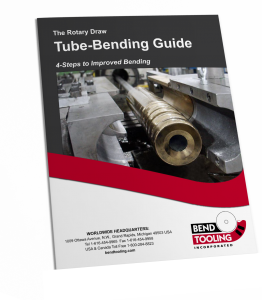 The preferred reference point is the centerline radius for round tubing and the inside radius for square and rectangular tubing.